Newport Harbor High’s field hockey program has been somewhat dynastic over the last decade. 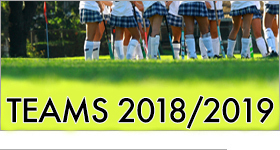 The Sailors were looking for their sixth title in the last 10 years, but they ran into this year’s most-dominant team in the Los Angeles Field Hockey Assn. Tournament of Champions final. 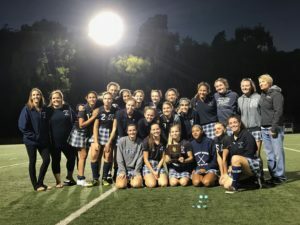 Newport Harbor struck first, but host Studio City Harvard-Westlake rallied to complete an undefeated season with a 3-1 victory on Saturday night. Alyse Tran scored the game-winning goal with 10:04 remaining. The senior injector, the initial passer on short corners, jumped into the play after delivering a pass to Rachel Brown. Brown pushed the ball past a Newport Harbor defender, driving the action closer to the Sailors’ net. Astor Wu sent a pass from the right side of the net in front for Tran, who was able to get her shot past Sarah Sheldon. Sheldon, a four-year varsity goalie for Newport Harbor (18-8-2), made six saves in the match. She made a huge stop on Brown, the tournament MVP, with three minutes to go as she sprinted in on a breakaway. The Wolverines (20-0) were relentless, though. Wu crashed the net and scored on Harvard-Westlake’s next possession to put the game out of reach. Newport Harbor broke through to start the match. A crowd of players pursued and batted the ball in front of the net. Kate Davison was the last of four to take a swipe at the ball, driving it past Wolverines goalie Elly Choi for the game’s first goal in the third minute. Wolverines coach Erin Creznic, who called the undefeated campaign a “once-in-a-career season,” said that Choi had not been scored on all year. “I couldn’t be any more proud of the way that they played,” Sailors coach Amanda Boyer said of her team. “Their first half of this game was incredible. Scoring the first goal in the beginning was very exciting. It was Harvard-Westlake, however, who controlled possession throughout. The Wolverines drew six short corners to Newport Harbor’s three before the break. Nicole Bahar tied the game on the last short corner of the half for Harvard-Westlake in the 24th minute. Tran was the injector, and Mia Reilly drew the assist in taking the initial shot before it was deflected past Sheldon. Stella Ziegler scored on a redirect off a penalty corner with 8:27 remaining, and Huntington Beach topped Glendora 1-0 in the third-place game. Nicole Cramer had three saves in the shutout for the Oilers (18-4-4, 9-0-1), who were the Sunset League South champions in the regular season. Huntington Beach was forced out of the winner’s bracket by Newport Harbor. The Sailors beat the Oilers 1-0 in the semifinals.